The first step toward change, says psychotherapist and writer Nathaniel Branden, is awareness. That’s also true for managing employee complaints. We’re used to resolving workplace issues as they come, but as HR managers, we’re also expected to have foresight: to be aware of what might cause complaints before the complaints themselves are brought to our attention. So what does our workforce complain about nowadays? 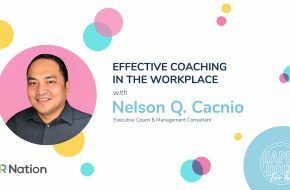 To answer this question, we asked 50 entry and associate-level employees from various small and medium enterprises (SMEs) to list down three things in the workplace that they often find themselves fussing and grumbling about — things that, if dealt with by their bosses or their HR department, would make them more productive and engaged. Among the slush pile of responses that we got, five things stood out: (1) inadequate compensation and benefits, (2) favoritism, (3) micromanagement, (4) lack of feedback and proper communication, and (5) lack of facilities and tools. Let’s talk about them one by one. What it’s about: 96% of the employees who participated in our survey grumbled about not getting enough in terms of compensation and benefits. What they want: higher pay and better benefits. They feel that they’re getting paid less compared to their peers in large companies, even with the tax reform (TRAIN) law enacted. They also believe that they should be entitled to timelier and more competitive perks, such as health and fitness benefits, flexible working hours, and more vacation leaves. It’s no secret that employees discuss their salaries among themselves no matter how hard we tell them to be modest about the topic. With the rise of websites offering salary information (like Glassdoor) and the seemingly obligatory inclusion of salary ranges in online job postings, comparisons of wages become more unavoidable. The same is true for benefits. To attract the best talent, large companies have taken to sharing on social media the perks that their prospective employees can make the most of. What you can do: Most of the time, complaints about having subpar salary arise from a complainant’s poor grasp of factors that dictate an employee’s pay, things like tenure, prior experience, responsibilities, and job knowledge. You may want to explain the discrepancy between your employees’ desired and actual pay by letting them see the bigger picture. Ask where they based their ideal salary on and explain how the management arrived at what they’re currently getting. If they quote an amount from a website, study how their source came up with the figure. A lot of websites that contain wage information actually give away the average or median pay for each industry or region. Put things in context by mentioning this, and if applicable, tell the complainant that the median pay does not represent the average pay of entry-level employees. You may also want to help your unhappy employees achieve their ideal pay by educating them about the things that they can do to advance their careers and their desired higher income bracket. For instance, you can walk them through a list of trainings and certifications that will help them acquire new skills. With regard to complaints about benefit programs, it’s ideal to start a discussion that helps employees understand how much your current benefit programs cost. Said one HR expert, “Most employees don’t appreciate their benefits, but that’s because nobody ever tells them what the costs are.” Give your aggrieved employees a rundown of their benefits and indicate how much your company spends for those. But, of course, there’s no substitute for benefits that perfectly align with the things that really motivate your employees. If you get complaints about benefit programs quite often, you may want to consider listening to what your employees have to say. Maybe you can offer them something that they truly and genuinely value. After all, it’s their productivity and satisfaction — and your company’s success — that are on the line. What it’s about: While favoritism sounds like a thing of our grade school days, it landed on our list of workplace issues that employees often complain about. 74% of our respondents said that their supervisors don’t treat their team members equally. Seasoned leaders agree that this fosters a sense of resentment and separation among employees. It also leads to undeserved promotions, something that a lot of senior business executives reported to have witnessed in a survey by Georgetown University’s McDonough School of Business. What you can do: The trickiest part of handling complaints about favoritism is the possibility of having to speak with or even confront someone who has more authority and influence in the organization. You might have to talk to directors, the owners, even the CEO. It’s easy if you have managers and leaders who are open to criticism and are self-aware, but it’s usually (if not always) their defensive and self-righteous counterparts who end up becoming the subject of complaints. > Creating an atmosphere of trust and open communication. > Having clear, objective and consistently enforced policies that cover how promotions, project work, hiring decisions and decisions on benefits are made. > Making sure the policies include a method for review by senior management and human resources. What you can do: The Harvard Business Review has a maxim that you can live by as a manager and that you can relay to your fellow managers in your organization: “Give the ‘what,’ not the ‘how.’” Instead of giving blow-by-blow instructions on how work should be done, simply provide a clear and complete picture of your goal or ideal outcome. As they say, there’s more than one route to doing well. As the HR manager, you’re in the best position to educate other leaders in your organization about respecting how their subordinates do the work that they’ve been hired to do. The challenge lies in changing micromanagers. One HR leader said, “The belief systems that create the micromanager may not go away overnight…Weaning the micromanager off their controlling belief system takes time and constant feedback.” Some suggest that you have to be straightforward: tell micromanagers bluntly that their management style does nothing but undermine other people’s self-esteem and productivity. 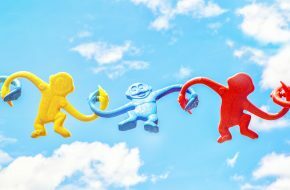 Regardless of the approach that you’ll take, bear in mind that a credible hiring process plays a big role in getting all your leaders to believe in what their subordinates can do. As the head of HR, you’re there to give them a reason to trust your company’s talent acquisition efforts. Let them know that your organization does everything that it can to hire the most qualified candidates and promote only the best employees. What it’s about: 52% of the responses that we received included complaints that revolve around not being able to communicate with bosses as well as get prompt feedback from them. If you’re up-do-date with workplace trends around the world, this won’t come as a surprise. A widely cited study by Officevibe shows that most of today’s employees, especially the so-called millennial workers, are big on feedback; 82% said that they would appreciate getting feedback, regardless if it’s positive or negative. Companies that implement employee feedback programs reported lower turnover rates by 14.9%. It’s clear that giving and receiving employee feedback has become more than a way to foster professional and organizational growth. With technology rapidly changing the way we socialize, constant communication between managers and their direct reports has become a factor in engaging and retaining employees. What you can do: Having a solid employee feedback program is key to managing complaints about the topic. A carefully planned and well-implemented system for providing and receiving feedback can serve as your starting point for solving all problems related to a lack of communication between ranks in your organization. If your company has one in place but feedback-related complaints still persist, you may want to consider rethinking your process. What emerges as the main issue about feedbacks nowadays is the frequency in which managers give them. A lot companies are getting rid of their annual performance reviews to give way to more recurrent one-on-one sessions between leaders and their teammates. Studies show that a reasonable number of feedback within a year have a positive effect on employee learning and performance. What it’s about: Finally, we arrive at our fifth most complained-about issue in the workplace: the lack of work facilities and tools. 46% of our respondents reported NOT to have: (1) venues to hold meetings in, (2) machines (i.e. desktop computers, laptops, and phones) in good working condition, (3) office furniture (i.e. desk and chairs) to use, (4) break rooms, (5) well-maintained and properly ventilated office spaces, and even (5) reliable internet connection. It should be apparent how inadequate supply of work facilities and tools have become a major subject of complaint for our respondents. When asked to expound on the matter, most of them talked about the long wait that every request for facilities or tools entailed. Some of them reported to have notified their HR departments more than twice about the same request. And there lies the problem: A lot of local SMEs merge the functions of facilities or office supply personnel with those of the HR department. Keeping inventories, for instance, become a part of an HR specialist or manager’s job description — an arduous task, especially if you also have things like timekeeping, recruitment, and employee engagement in your bucket. > Come up with a facility booking system for meeting venues and make sure that the schedules are strictly followed. > Putting in place a basic inventory of tools that you need to have and setting a specific reorder point for each. > Promptly responding to requests for facilities and equipment, and giving both realistic and reasonable timeframes for addressing them. > Tracking office trends and knowing which machines, equipment, or infrastructure are more preferred or will most likely be needed by your company in the future. A closer look at our shortlist tells one how crucial an HR manager’s role is, especially in small and medium-sized businesses. Being the head of human resources means having to answer to both leaders and team members, and bridge gaps that may develop between the two. It means having the most important administrative duties while being responsible for decisions that could make or break the company’s future. It’s easy to see how most problems raised by our respondents could have been prevented had there been feedback processes, strategies in managing company culture, and organized ways of ensuring that the needs of employees are promptly attended to. However, as our survey reveals, HR teams of SMEs are spread out too thinly across their growing list of tasks to have quality time for the mentioned high-level responsibilities. Some even prove to be so submerged in routine but time-consuming tasks like manual attendance-monitoring, payroll-processing, and accomplishment of government forms. Make no mistake: There’s nothing wrong with exerting efforts in fulfilling administrative functions. But at the end of the day, workplace demands will keep on coming and evolving — and you will be left with the same limited amount of time and other resources. It’s up to you to make the most of what you have. You can choose to perform your duties the old way, or you innovate — leave the brass tacks of your job to technology, and focus on things that will mean the most to employees.